One of the best things any believer (new or old) can do, is to spend time daily in God's word the Bible. 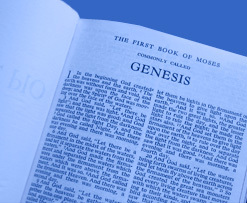 Click here - for a simple reading plan that will take you through the Bible in a year. If you are new to the Bible, we recommend starting in the book of John. This class will give you the keys and tools to spiritual growth. You will learn how to study the Bible, how to pray, the importance of fellowship, and how to give of your resources.